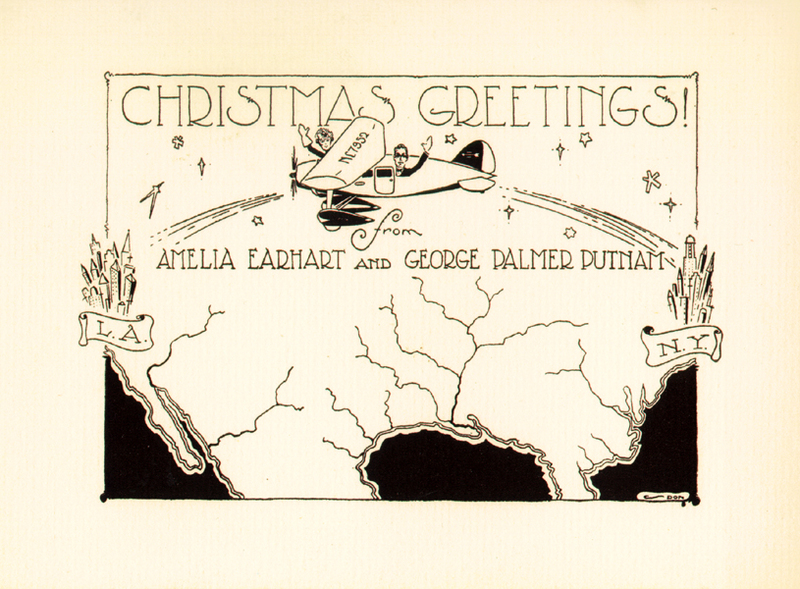 4OVER4.COM » What's New » You&apos;re currently reading "Vintage Aviation Christmas Cards"
Aviator Amelia Earhart and husband George Putnam sent these Christmas Cards in the 1930’s to their family and friends. 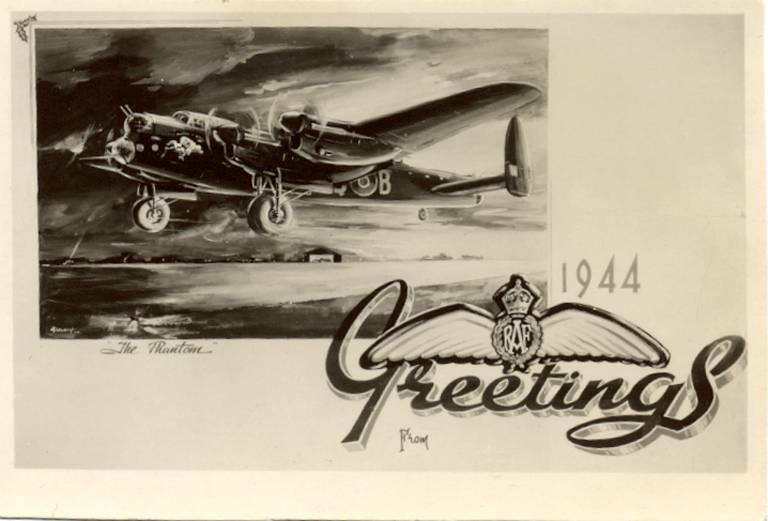 It was at this time that aviation became widely popular, and then followed by the World War II, many different aviation greeting cards were sent. 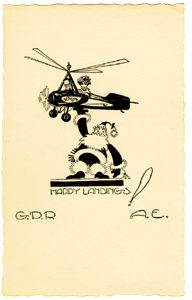 This Christmas card was sent by members of 209 Battery, a unit of the New Zealand 29 Light Anti-Aircraft Regiment. The unit served in various locations in the Pacific during WWII, including New Caledonia and the Solomon Islands. The card probably dates from Christmas 1943 when the unit was stationed on Vella Lavella. 550 sqdn. Christmas card 1944, showing bq-b phantom of the ruhr” which completed 121 operational flights. The United States Army Air Force selected him for pilot training on August 23, 1943 and sent him to Texas Technical College, Cadet Training Detachment in Lubbock, Texas. 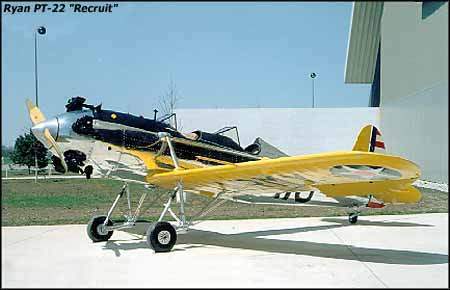 He describes his fond experience of learning to fly in a 1943 AAF Christmas card to his family, featuring aircraft formation photo of the Ryan PT-22 “Recruit” primary trainer.